MEXICO CITY — Mexico's lower chamber of Congress approved constitutional changes Thursday allowing the creation of a National Guard that the new government wants to lead the fight against rising crime. The Chamber of Deputies voted 463 to 1 to approve the Senate's version of the legislation. The Senate amended the measure to ensure the new force would be under civilian command, answering to the public safety secretary. To go into effect, the constitutional changes must still be approved by at least 17 of Mexico's 32 state legislatures and signed by the president. The National Guard proposed by President Andres Manuel Lopez Obrador would initially be made up of personnel from the military police of the army and navy as well as members of the federal police. The president, who took office Dec. 1, originally planned to have the force under military command and has said he could still put a military officer in charge. Critics of the plan had demanded a lesser military role and greater civilian character. Lopez Obrador has already shown a willingness to involve the military in policing. Soldiers and marines are leading the fight against fuel theft, patrolling pipelines and guarding refineries across the country. Mexico has faced internal and international criticism for years for its broad use of the military to provide interior security. Previous governments and Lopez Obrador have argued that only the military has the resources and discipline to confront powerful organized crime groups. The military is also one of the few institutions generally seen as trustworthy by the public. Last year, Mexico recorded 33, 341 homicides, up 15.5 percent from the previous year and the highest total in least 20 years. In taking on a policing role that they weren't trained for, the military forces have been involved in a number of cases of human rights abuses. 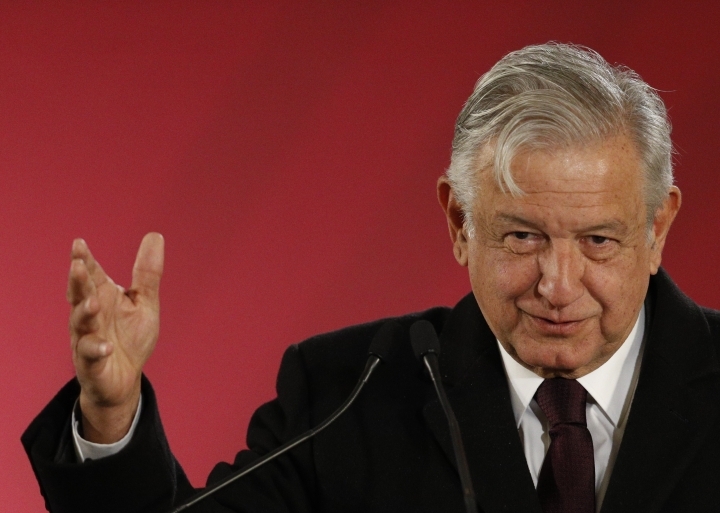 Lopez Obrador has promised that will not be acceptable in his administration. He has criticized the existing federal police as a failed project and pressured legislators to not just recreate another national police force. But opposition lawmakers pushed back against too much military involvement even though prior administrations under their parties made generous use of the military in policing roles. Ultimately, opposition parties were pushed to reach a compromise by their state governors, who largely depend on the federal government for security. Unlike the National Guard in the United States, state governors in Mexico would not have any authority over the force, but could request its presence.